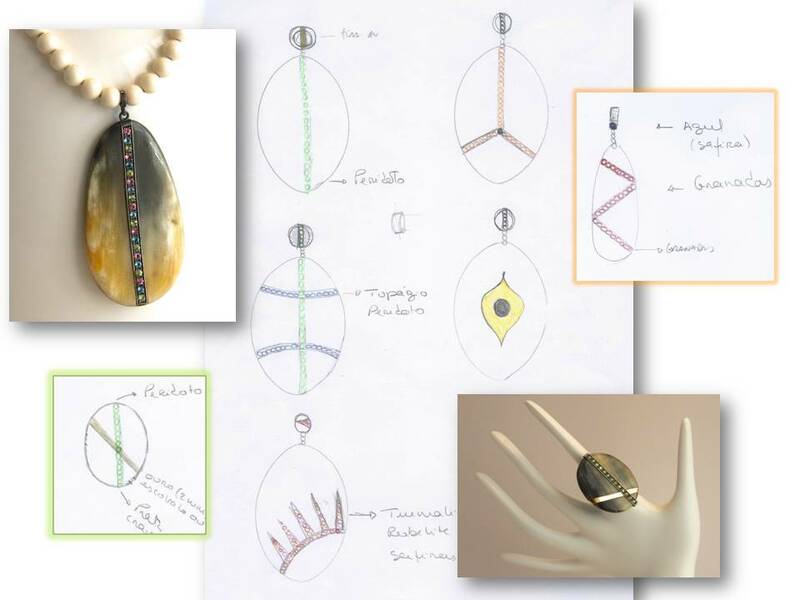 Mysty by Sílvia Taveira is the name of my jewelry brand. Even though I am in permanent awe of other designers’ work, there are times when inspiration strikes and I just feel I have to do it myself. Africa is a never ending source of inspiration, its tribal culture, the colours, the sounds – mysterious and mystical… And so current, these days. 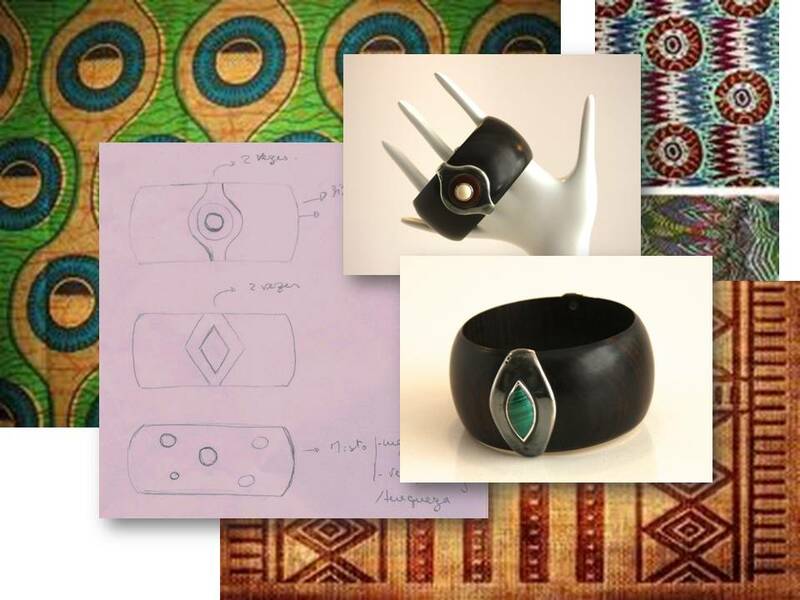 Inspired by the ambiance and the relevance that this continent has had in the history of my country, Portugal, I have started a jewellery line called “Africa”, within my own brand – Mysty by Sílvia Taveira – which is my interpretation of symbols and colours, the tissue patterns, the tribal masks and shields, the laid back mood. From inspiration to the actual jewels, here is a visual summary. 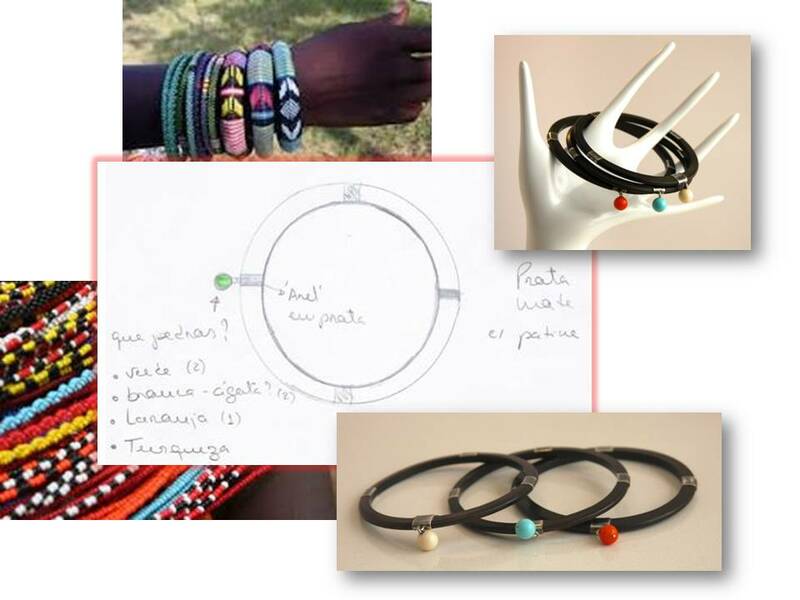 The pieces combine locally sourced materials – woods, bone and tortoise from Mozambique – with precious metals and coloured stones such as peridot (one of my favorite stones), saphires, coral and turquoise. I just love these designs! Mozambique has a special place in my heart, I lived there for nearly 5 years. 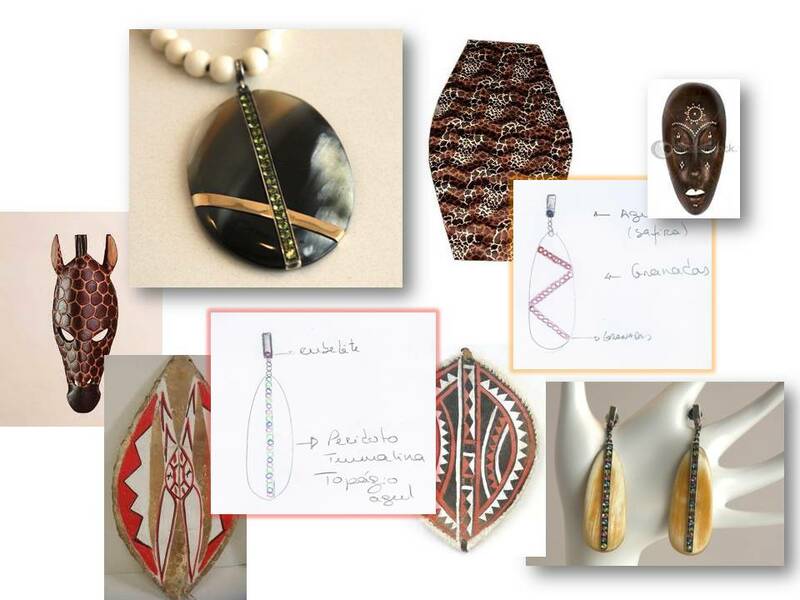 It was while in Maputo that I made the decision to transition into a new career as a jeweler and designer (I was an international development consultant previously). I now have my own business based in California and am about to graduate with my BFA in metalsmithing. You can check out my work at http://www.alexandraamaro.com. Thank you for visiting and for your nice comments. Your designs are very interesting, congratulations. Loved the “Origins and Routes” bracelets! And California … such a great location, very inspirational. I hope you keep in touch. Initial pendants: when your jewelry shows your love.